Relief Web, a humanitarian information source on global crises and disasters, and a digital service of the U.N. Office for the Coordination of Humanitarian Affairs (OCHA), recently released four mobile apps that aim to serve different members of the humanitarian aid community. Each of these app aims to solve a problem or address a challenge that will meet specific needs of humanitarians. – Information gathering and making sense of a fast-paced humanitarian crisis can be challenging. This app provides key figures, access to latest reports and maps, real time financial status, as well as a comprehensive overview for each crisis. All of this is kept updated in real time. – The app allows you to quickly compare different crises and gather the history of each event, so you can follow the evolution of a situation. Some recent examples: Haiti’s Hurricane Matthew and the crisis in Syria. -Humanitarian situations evolve rapidly. 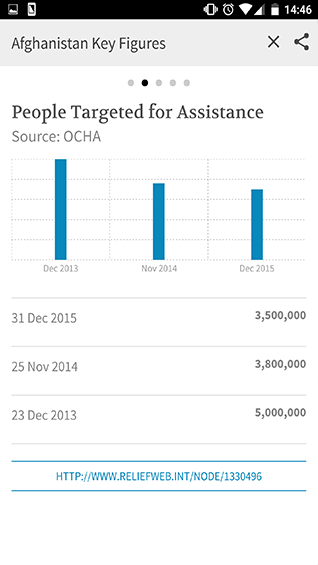 Headlines App provides a general overview of the latest humanitarian developments globally. “Gender”, “Refugees”,etc., and see what has been published on ReliefWeb that matches your search. – Videos allow you to get a much better sense of how things look in the field better than most reports usually can. It is a resource for complex , quickly changing situations, such as the ones in Syria and South Sudan, as well as for sudden onset disasters. – Video is becoming a preferred reporting format for humanitarians, but prior to this launch there has been a gap in specialized video platforms that can gather these videos quickly and make them easy to access. ReliefWeb editors select relevant videos from more than 300 humanitarian sources, organize them, and make them available. – Job finding can be challenging in the humanitarian system due to short-term appointments, short application deadlines, and fast paced recruitment. However, finding the right people quickly is key to the success of any humanitarian operation. The Jobs App provides access to most available jobs in the humanitarian sector. All the apps allow you to bookmark reports to read later, and importantly, to share their content via social media. 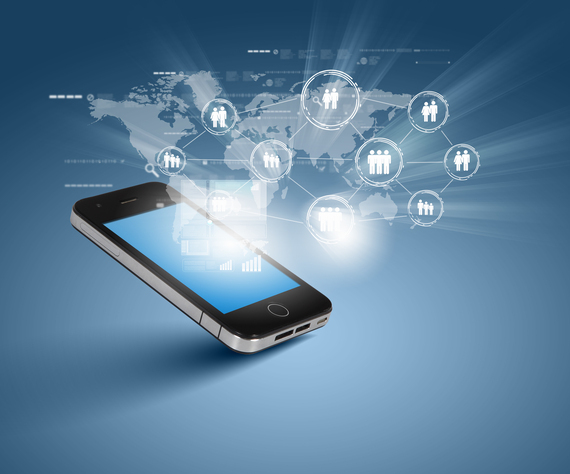 Mobile visitors to ReliefWeb have increased significantly in the last few years, according to Adrian Ciancio, product manager at the digital humanitarian information service. “In 2015, mobile visitors to our site increased by an overwhelming 71%, of which over 90% were new visitors. Although we have a mobile version of the website, we believe that the apps allow us to package, curate, and organize content in ways that better serve the needs of our audience,” Ciancio said. The team will also be conducting an impact evaluation on all the apps and plans on gathering user feedback in the upcoming months to improve and expand on the apps.